Pascal Le Segretain/GettyFashion billionaire Sir Philip Green in London in 2014. The Daily Telegraph newspaper was prohibited from reporting allegations against a prominent British businessman of sexual harassment, racist abuse, and bullying. 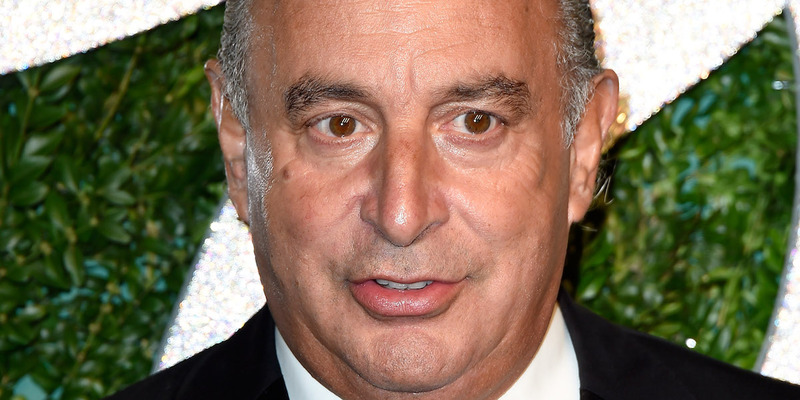 Sir Philip Green was named in parliament as the businessman in question. He obtained a legal injunction to stop The Telegraph from reporting his identity. Lord Peter Hain revealed Green’s name in the House of Lords with “parliamentary privilege,” a British law that allows anything said in Parliament to be published without penalty. None of the allegations against Green have been proven in a court of law. Green owns a massive retail empire that includes Topshop and Miss Selfridge. Retail billionaire Sir Philip Green was named in the UK parliament as the businessman who reportedly used a legal injunction a British newspaper from reporting allegations against him of sexual harassment, racist abuse, and bullying. None of the allegations have been proven in a court of law. Peter Hain named the businessman in the House of Lords on Thursday, which allowed Green’s name to be made public. Green had obtained an injunction against The Daily Telegraph newspaper, making it illegal to name him. But an element British law – so-called “parliamentary privilege” – allows that anything said in Parliament can be published without penalty, regardless of any other restrictions, thus allowing a way around the injunction. Lord Hain said “I feel it’s my duty” to name Green. He described Green as “someone intimately involved in the case of a powerful businessman using non-disclosure agreements and substantial payments to conceal the truth about serious and repeated sexual harassment, racist abuse, and bullying, which is compulsively continuing. Lord Hain’s revelation came after The Telegraph reported that it was stopped from reporting the businessman’s name as part of an investigation about a #MeToo case in Britain. The Telegraph was not allowed to reveal the identities of the businessman or his companies, or the accusations against him. Green owns a giant retail company, Arcadia Group, that includes Topshop and Miss Selfridge. He is the father of Chloe Green.